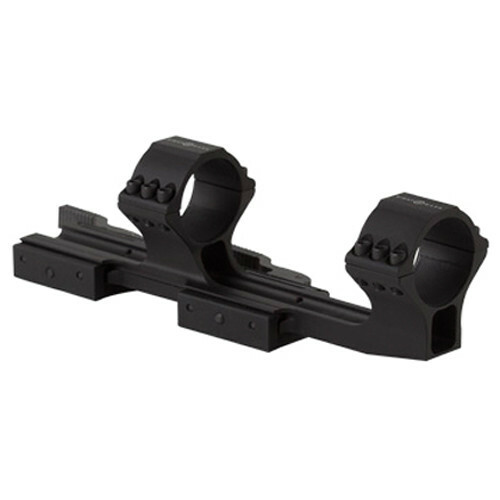 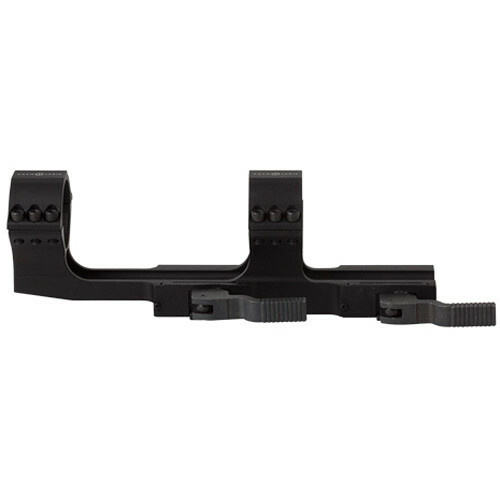 The CJRK Quick-Release Riflescope Mount from Sightmark is an optical accessory used to attach a 30mm or 1" scope to an AR-style firearm's mounting rail. 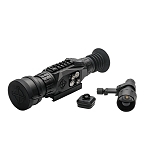 This mount provides return-to-zero capability of the optic, and it features two quick-release throw-levers integrated with an aluminum rail and two 6-hole scope rings. 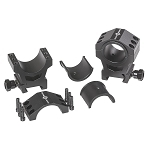 The 30mm scope rings will also accommodate 1" scopes thanks to the included reduction ring inserts. 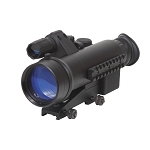 The CJRK mount is best-suited for scopes that have an eye relief less than 4"; its cantilever design allows proper eye relief and mounting height on various AR-style platforms. 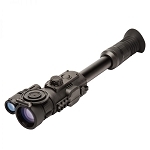 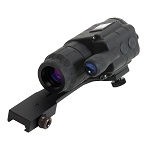 Provides proper height and relief of AR-mounted scopes with eye relief less than 4"